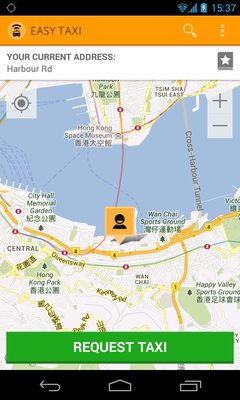 Hong Kong, 23nd of October 2013 - Easy Taxi, the world’s leading mobile taxi app, is now available in Hong Kong. Only a few weeks ago the company successfully introduced its service to the Philippines and Malaysia. With more than 60,000 taxi drivers in their network and 2,000,000 downloads and counting, Easy Taxi already has gained a strong presence in more than 40 cities across 15 countries. After having finished its pre-launch phase with over 500 taxi drivers on board throughout all areas of Hong Kong, Easy Taxi continues its global success story. 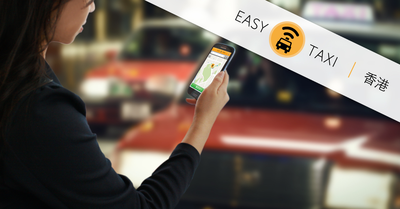 Easy Taxi was founded in Brazil in 2011 and is now one of the world’s leading mobile taxi apps, connecting drivers and passengers in a smooth, easy and safe way. The value proposition is straight-forward: download/open the Easy Taxi app for free, available for iOS, Android and the new BlackBerry devices, confirm your pickup point and order your cab with the press of a button. In seconds you will receive confirmation of the name, photo and car model/plate of your driver, and will be able to follow the vehicle’s location in real-time as it approaches you. You can save favorite addresses, check ride history and use many more features constantly being added. Since drivers are checked for compliance before joining the network, passengers do not need to worry about their safety and can simply enjoy their ride. 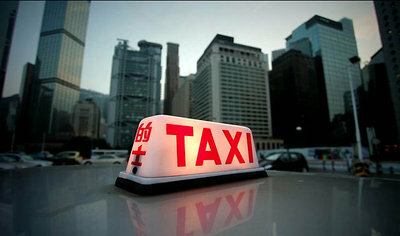 In Asia Easy Taxi aims to become a true regional application, as regional travels increase and passengers move very fast across the continent. Having only 1 application in your phone for every country is really a game changer in the transportation industry.